This guest review brought to you by the letter C, the number 10 (tentacles), copious parenthetical asides, and a gaggle of exclamation points (!). 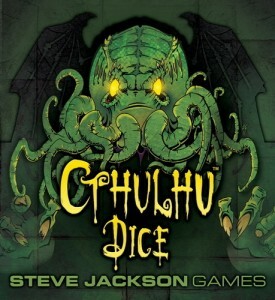 Cthulhu Dice by Steve Jackson (illustrated by Alex Fernandez) is a fun way to pass the time at your local pub or as a warm up game while everyone settles in for a longer battle against the Great Old Ones (such as Arkham Horror). 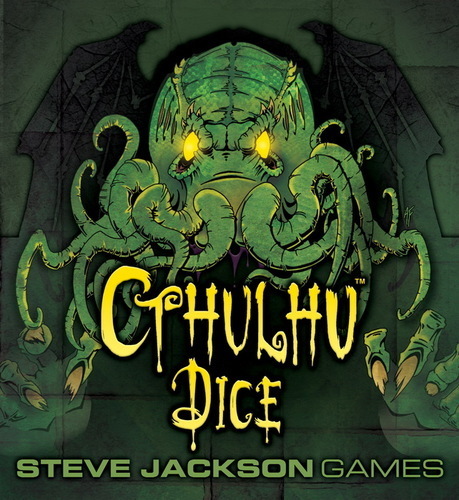 The super cool (and quite pretty) dodecahedron is adorned with wee tentacles, Yellow Signs, an Elder Sign, and one menacing Cthulhu face (of horror and madness). It’s meant to be played by three to six players and seems to take anywhere from 5 to 20 minutes no matter how many players there are. At a recent party we played several rounds: a few with 6 players, a couple with 3, and one with the two player variation. Game mechanics are simple and are fairly easy to learn (and retain) even after you’ve imbibed a few adult beverages. 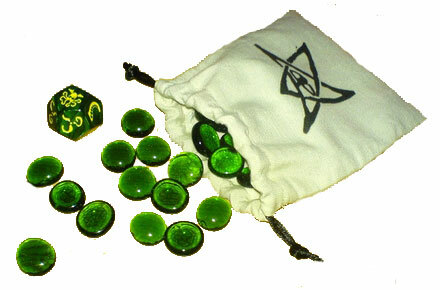 Welcome to Dice Hate Me - a blog about my lifelong love for boardgames and the bitter hatred of the dastardly dice usually found within. Want to know when something new and exciting is up on the site? Subscribe for updates!